Music is often a young persons game as we are always on the watch for the next big act or hit song. While that’s always a wonderful thing, we often forget the stories and experiences we can take in from musicians who come in all shapes, sizes, and ages. Ric Zweig is such an artist to listen to and take something away from after listening to him and his band. 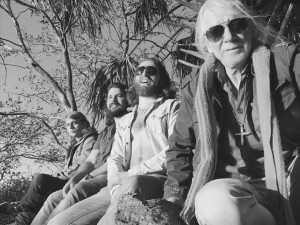 Ric Zweig & Fresh Air aren’t looking to be world touring rockstars at the moment, but there is a special star quality and it factor that can be found within the songs recorded. Before we look into a couple of songs from this amazing experience, let’s look at the facts and background of Ric Zweig and where his journey into music starts. Not being his first venture into music, Ric has 5 albums under his belt along with 12 years of performing experience. Upon his admission to law school however, he put his music career on hold to become a lawyer and eventually serve as a Circuit Court Judge in Miami, FL. Personally speaking this is a very uncommon thing in my several years work as a music writer, so I welcome the spice up to things! With that said his band ‘Fresh Air’ have been regular participants on a Local South Florida Music Festival scene. With their live performance experience and Ric’s songwriting skills, this has created a perfect storm of musical goodness that is a taste of Florida and New Orleans from the lyrics and sounds provided within each recorded track. A notable song titled ‘Here Comes The Rain’ is a great mix of RnB and Rock that collide to create a soulful rendering of a love song as Ric’s voice is perfectly harmonized with instrument section. A very smooth listening experience and is really a song that wouldn’t have a problem find it’s way into any contemporary playlist. Gotta Have Hope is the head turning track as rap and rock collide for a laid back experience as Ric shows his dynamic ability to sing and adapt to a different musical style. From pounding drums funky bass and guitars, and into a guitar solo, Gotta Have Hope is the stand out wild card song that shows off the Ric Zweig & Fresh Air experience full force. As a whole, Ric Zweig & Fresh Air’s album together is a great experience that shows no matter the turns life takes, Music is always a foundation of the heart and speaks a language all can understand no matter the education or social status level. 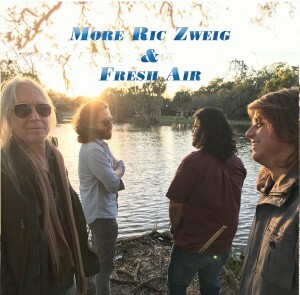 More by Ric Zweig & Fresh Air provides RnB, Rock, and Soul elements to create quite the unique listening experience. In the ever stagnant mainstream music scene, it’s a refreshing sight to learn about Ric Zweig and how no matter the life turns, music brought him back around to his true passion. Contrast CTRL is more than happy to share Music That Matters and knows no age. Contrast CTRL, Fresh Air, More, Music, New Orleans, Review, Ric Zweig, Soul, Time. Bookmark.